Sweden is a small country that seems to punch above its weight in a lot of activities. Volvo, Saab (my dad's favourite car), Ikea, meat balls, ABBA, are all well known and respected around the globe. They also have a long history of movie excellence. From North America we have been aware of the likes of Greta Garbo, Ingrid Bergman, and Liv Ullman. 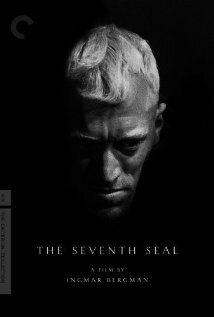 The "Seventh Seal" (1957) was very grim, but also very thoughtful movie that is listed in the top 250 at IMDB. It featured Death playing chess against Max Von Sydow portraying a returning Crusader during the Black Plague. This film helped elevate Max to international cinema. Max was one of many graduates of theatrical studies in Sweden. "Fanny and Alexander" (1982) which was an Oscar winner is considered autobiographical. It is set with partly with a family heavily involved with the theatre and partly withtwo children being taken under the care of a religious leader. Bergman was the son of a priest, but also had theatrical relations. I have long felt that opera is the highest art form (partly because it combines everything else) and that filmed opera has the potential to be even better. Ingmar Bergman filmed the "Magic Flute" (1975) on a Swedish stage and made the audience part of entertainment. "Faithless" (2000) was actually directed by Liv Ullman, but written by Ingmar. There are supposed to be semi autobiographical elements in it. Lena Endre who later performed in all 3 of the Stieg Larrsson trilogy was the leading actress. Scandinavians have been very prominent with mystery writers. One of my favourite authors is Henning Mankell with his Wallander series (he has continued to mature in style). The Swedes also had mystery writer competition from Norway. Stieg Larsson, after he died, created an international sensation with a trilogy of stories that have been made into movies in both Sweden and America. 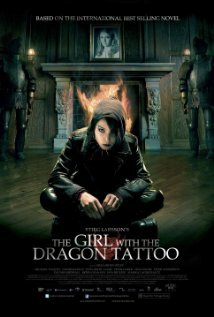 "Girl with with Dragon Tattoo," "The Girl Who Played with Fire" and "The Girl Who Kicked the Hornet"s Nest" (all 3 released in 2009) drew attention and was copied in English a few years later. The Swedish version starred Noomi Rapace and Michael Nyqvist. Both Michael and Noomi have made films in English. Michael appeared in a Swedish favourite "As it is in Heaven." (2004) with a sort of sports-like theme with a diverse troubled group coalescing into a superior choir. The lead singer was actually a music star in her first movie and is quite impressive in a supporting role. I had seen Michael in two earlier films "The Man from Beijing"- (2011)-filmed in German, but originally written by Henning Mankell which I enjoyed. "Mother of Mine" (2005)a Finnish/Swedish production that was very moving and written up in my blog on sad movies also had Michael Nyqvist in an important role. A little bit of history not known by most North Americans is that during World War II Russia invaded Finland and 70,000 children were shipped to other countries including Sweden. It is a very emotional film and demonstrates co-operation between Finland and Sweden (whose languages are not similar, but some are bilingual). The director Klaus Haro has done some other films with Swedes. Another of the supporting cast in the Stieg Larsson trilogy, Annika Hallin. had been seen in another film. Annika who played Michael's lawyer sister was the lead actress in the Norwegian movie "Kissed by Winter" (2005). The Swedish and Danish language are also very similar and to some extent intelligible to one another. This was commented on with "The Bridge" set between Malmo Sweden and Copenhagen, Denmark in which the two leads spoke only their native language (Swedish or Danish) to each other. "Force Majeure," (2014) directed by Ruben Ostlund got a lot of attention at film festivals this past year and did have a unique focus. A man running from scary (but harmless) avalanche in front of his wife and children. The dynamics affect whole family plus friends. The film made it to the short list for foreign language Oscar and did win a prize at Cannes and also the Toronto Film Critics. The controlled avalanche was actually filmed in British Columbia. An uncommon genre for me is the vampire movie. 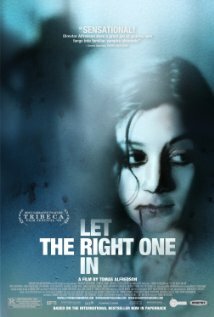 "Let The Right One In" (2008) got my attention on another project and on impulse I watched it. It was scary, partly because it seemed so real, but had an element of humanity about it. The director, Tomas Alfredson did "Tinker Tailer Soldier Spy" in English. An upcoming project for him is "The Snowman" based on internationally famous Norwegian author Jo Nesbo. There is a good variety of Swedish movies, so don't be afraid to check one out. The Scandinavian countries do a lot of work with each other on films and that seems to be healthy for each one. Also note they are already helping boost English language films in a significant way.